Businesses led by mangers of higher integrity enjoy deeper employee commitment, lower turnover, superior customer service and higher profitability. This improved performance is “the integrity dividend.” This book offers guidance for building individual credibility and for creating an organizational culture of integrity and accountability. When Stan Myers (now SEMI president/CEO) was CEO of Mitsubishi Silicon America, he decided to move the R&D department from San Francisco to Salem, OR. As many employees didn’t wish to relocate, he offered a retention bonus to those staying the full eight months until the move and helping to recruit and train their replacements. Those leaving prior to the move got only their severance package. One employee, Alan, got another job early and left, but never received his severance of several thousand dollars. Almost a year later, Myers found out about the oversight. Rather than letting it go, he personally delivered the check to Alan at his new job. Fifteen years later, Myers received an engraved iPod Nano from Alan, now involved in an electronics startup, as a thank-you. Alan remembered Myers’ gesture long after the fact because Myers went out of the way to keep his commitment to a former employee. 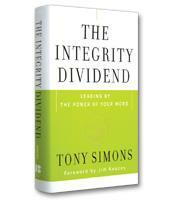 What Myers did, as well as its long-term result, is the core basis of Tony Simon’s new book The Integrity Dividend: Leading by the Power of Your Word. Leaders are challenged to seamlessly maintain their values and keep their promises. The days of “Do as I say, not as I do” are over. Simons’ basic four-step formula outlines how managers who keep their word generate deeper employee commitment, which in turn causes lower turnover and superior customer service. This ultimately leads to higher profitability. To underscore his point, Simons held focus groups, looked at operational and financial sheets, and interviewed a total of several thousand employees and executives in all types of industries, from hotel chains to investment firms to airline catering companies. A critical element of behavioral integrity, Simons notes, is to create trust and credibility among employees. “A perception of integrity, like trust, is typically slow to build and quick to fall,” Simons says. To create the needed trust factor involves work. Employees constantly evaluate their bosses’ integrity on many levels. Some of the key factors are following through on all promises, exhibiting true caring about employees and acknowledging uncertainty. Simons also mentions the idea of reducing one’s values to an essential minimum, then sticking to them on a constant basis. 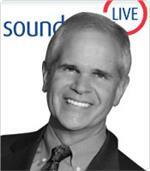 Another element Simons talks about is making behavioral integrity a personal discipline. Managers must teach themselves how and what tasks to delegate and how to handle disagreement; committing to honor all commitments; and learn how to admit mistakes and apologize when necessary. He admits up front that some or all of these may be awkward and uncomfortable at first, but they must be accomplished in order to maintain integrity. Upon first getting into The Integrity Dividend, some readers may feel it’s the kind of book that dresses up basic common sense as a business thesis. But once past the first chapter, Simons makes it clear that there is more substance. Sure, encouraging employees’ trust is something we’ve all heard about before, but it’s done in a way here that explains, in easy-to-digest examples, that integrity goes beyond a simple reputation; it must penetrate all aspects of a company in order for it to have the desired effect on employees. By taking the time to foster employees’ faith, a better and more profitable organization is almost guaranteed.